Here, ladies and gentlemen, you have "the kitchen from hell." This is a sordid, hilarious tale of what goes on behind the scenes in the kitchen of a hotel restaurant. After reading this story, you might never again eat in another hotel restaurant, or any restaurant for that matter. Unfortunately, this story was based on the truth! Archie Johnson thought he was prepared to meet his death in the electric chair. The sentence had been read; he had had his last meal and the prison chaplain had asked God to have mercy on his immortal soul. Then, just as they were strapping him into the chair and about to pull the switch, he suddenly realized there were a few things he wanted to do before he left this earth. This is Archie's story. 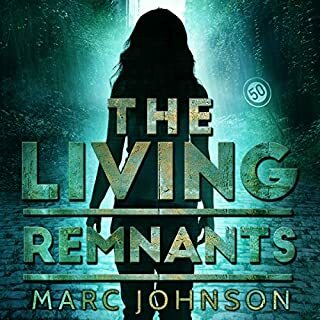 Esmeralda, one of the human survivors of an apocalyptic war, now lives a precarious life as a servant to a family of zombies. She knows she’s better off than many other humans, who are imprisoned in breeding camps and slaughtered for food. Her masters treat her well, and their young daughter reminds Esme of her own little girl, killed during the war. But Esme can’t forget everything she’s lost—or the knowledge that her masters could turn on her at any moment. When rebels interrupt the zombies’ supply of human food, Esme’s position becomes even more dangerous. And this time, the price of survival may be more than she is prepared to pay. Tembo Makaburi, the Swahili term for “elephant cemetery,” is the stuff of which dreams are made for ivory hunters. 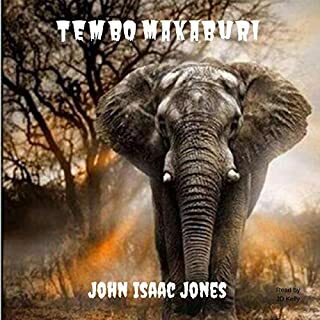 This is the story of a greedy man's quest for riches and glory as he relentlessly pursues a bull elephant and his valuable ivory tusks across the vast expanse of the Serengeti plains. A chilling tale of greed and revenge! For years, Big Walter had dreamed of becoming Georgia's Director of Public Safety. Now his big opportunity was before him. The governor's chief aide said all he had to do was find the body of the governor's college-age son who had been swept into the raging waters of the Tallulah River in north Georgia. After three days, however, Big Walter, armed with all of the body-finding technology the 20th century had to offer, came up with nothing. Then one of the locals suggested he talk to an old Indian who lived on the river. This is Big Walter's story. This is the story of a dying little boy fighting to escape a very special hell! For years, the old men had been hanging around the country grocery store whiling away their days playing checkers and dominoes and talking about politics, women, drinking, and life experiences. All that time, the store owner readily approved their presence in the store and went on about his business as if they were not there. Then, one fateful morning in 1956, a new owner bought the business who was not quite as tolerant. 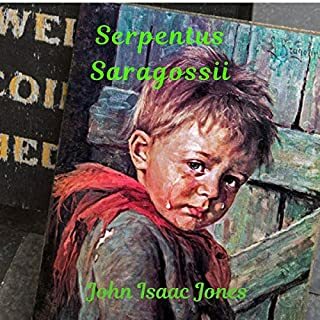 The narrator of this story, an unnamed 13-year-old, was the son of the new owner and explains how his father dealt with the old men who hung around his store. When the brash old men who hang out in front of the store become a nuisance to the female customers.. the new owner gives his son a lesson in couth by not tolerating the disrespect. I really enjoy listening to John Isaac Jones stories. All have a message about morals and a person's character. The narration of this book is well done. This book does involve adult situations with some mild language. I requested this book in exchange for my honest review. I do recommend this and John's other book's. Set in a small town in the 1950s, the tale is told through a boy’s eyes as he eagerly helps out at his father’s store. It’s an old general store as we don’t see too many of these days. While this tale certainly had it’s share of quaintness to it, I found that it also had some depth. The goings-on witnessed by this lad over a span of years give him some life lessons to contemplate as an adult. Mr. McAdams is the leader of this little group of 4 or 5 old retired men that like to hang around the store playing dominoes or checkers and swapping stories. They use questionable language from time to time and aren’t always the most congenial group. Mr. Hill is the meanest of the bunch despite having a wife and son in the area. Mr. Gibbs and Mr. Wiseman (spelling?) are some of the followers making small appearances in the tale. The old men in and of themselves aren’t such an issue but they treat the general store like it was their own private club house (ash trays &amp; spittoons – yuck!) and they don’t take kindly to those that try to barge in on their little fun. There’s talk of politics (1956 was an election year), cursing in front of the ladies, and guffawing at customers who inadvertently drop things on their heads while reaching up to that top shelf. While there are a few ladies that appear or are mentioned, I can’t recall any of them talking. Perhaps the school principal had a line and I know one of them gave an embarrassed cry. Still, it would have been nice to have at least one real female character. I like how the store owner tries several approaches to working with the old men, who do buy from the store. He’s doing his best to walk that narrow path of making his customers happy but also keeping certain standards. His first appeal, to avoid naughty language in front of the ladies, is grudgingly acquiesced to. However, that turned out to be the first straw that would eventually break the camel’s back. I really didn’t expect things to go as they did with the old men but I did like being surprised. The story ends with a little reflection from the now grown son and a little followup with one of the grumpy old men. All told, it’s an interesting little piece that shows off the author’s skill at character development through small scenes. I would totally back that store owner in his handling of those grumps! The Narration: Michael T. Downey was a good fit for this book. He had various voices for all the men, though I liked his grumpy Mr. Hill voice the best, it being laced with menace most of the time. For some reason, the F word (which is used once) was bleeped out while the N word (also used once) was said outright. Perhaps this was per the request of the author? Anyway, it came off as odd and the bleep was alarming, briefly making me wonder if I had a notification of some kind or if my battery was dying. Besides that, this was a really good narration. I did enjoy listening to this well written short listen. 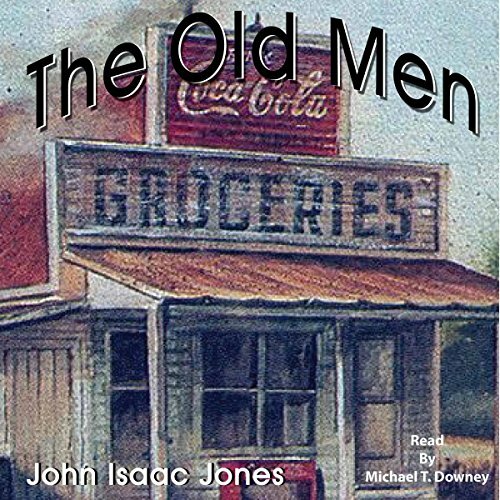 It is about family in 1950’s who own a grocery store invaded by group of older men and owner had to get rid of them for disrespecting women and improving his store. 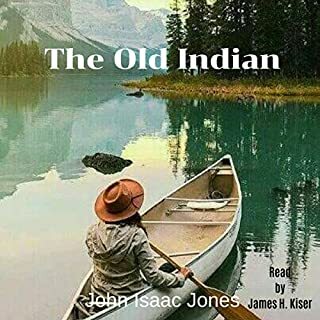 I also recommend the author’s short listens especially The Old Indian and Going Home. I was given this free review copy audiobook by author and have voluntarily left this review. 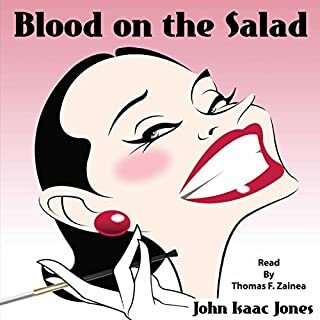 I've listened to and enjoyed several of John I. Jones' short stories; however, this one is by far the best yet! This story transported me back to my childhood summers spent with my grandparents in a small, one stop sign town. The story is so well written and narrated, you feel as if you're actually there. If it's not obvious, I absolutely loved this story. I received a review copy at my request and voluntarily reviewed. When a country grocery store gets a new owner, it means an end for the group of old men who spend their days talking and playing checkers in the small store. Told from the perspective of the new owner's young son, this story explains what happens when the old men test his father's patience. I really enjoyed this short story full of humanity and heart. It was a great way to take you back to a simpler time, or introduce you to it if you didn't live through it. The author didn't use long descriptive passages to fill space. He sketched each scene in just a few sentences, and packed so much personality into it. I could just picture the poor nurse and feel her embarrassment. The narration was great, the narrator had a soothing voice that fit this story well. I requested a copy of the audiobook, and I'm voluntarily leaving a review. The good guy is the good guy. Surprise! I never know what to expect from this author, other than a pleasurable listening experience! So many authors today would've glorified the wrong party in the story and faulted the principled man, painting him as a prudish snob and glorifying every manner of miscreant. It is refreshing to hear someone bold enough in our post-modern culture call what is good, "good" and label evil as such. You can only wade in the shallows with spineless anti-heroes for so long before their character rubs off on you and your moral compass begins to wander. Thank you John Isaac Jones for pointing true north when every which way but North is fashionable. The narration was excellent the story was brilliant and I don't think I'm ever going to get tired of hearing a story from this guy. This is a recollection dated in 1956. It is written from the perspective of a son whose father bought a local grocery store. Along with the purchase of the store, the father inherited a group of old men who sat around and shot the breeze with one another – from politics to religion. They also like to harass certain customers by using profanity and trying to embarrass them. This story and these old men are the polar opposite of what I experienced from the old men at MY local grocery store! The story took a couple of turns that were unexpected and the actions lead to later consequences. I really enjoyed it a lot. John Isaac Jones is a great storyteller. I have listened to several of his short stories and liked each of them. If you were to ask my advice I would suggest he create an anthology with all of the stories in one place. They are very creative and reach out to a broad audience with the wide variety of subjects. Michael T Downey is a professional voice performer. As per my preference, I did speed up the recording a little bit. *I received a copy of this book in exchange for my unbiased review. I hope that you found it helpful. If so, would you take a moment and click on the 'helpful' button below? Please consider following me on Audible. Thank you. This is a really enjoyable short story. Great narration! The Old Men by John Isaac Jones was a good read. In the country grocery store there are always old men that hang around playing games. They also talk about politics, women and drinking. That is until a new owner buys the country store. I thought this was a great read and I enjoyed that it was narrated by the new owners son. This short story does a good job of transporting the listener back to simpler times in small town USA. Each town seemed to have a gathering place that became the social hub for those of like mind to gather and pass the time. In this story that place is the local grocery store. This story centers around a store owner and a less than reputable group of old men that sit around the store daily playing checkers and shooting the breeze. Conflict arises when the store's atmosphere changes because of the effect this group of men have on its customers and the corrective decisions the store owner must make regardless of the repercussions. I was given this audio book for free at my request in exchange for my unbiased opinion and review.